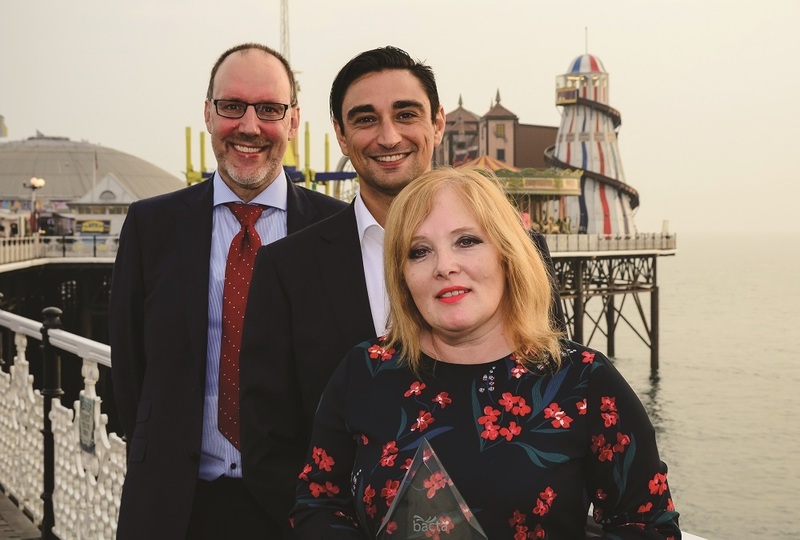 Anne Martin, Chief Executive Officer, The Brighton Pier Group plc, has been recognised for her services to the amusements industry. Anne, who was appointed to the newly created role as Chief Executive of the company in June 2017, received the Bacta Community Award from the association’s President, Gabi Stergides at a presentation held on Brighton Palace Pier. Reflecting on the award Gabi Stergides said: “The vast majority of Britain’s piers are financed by privately owned companies who rely on the revenue they generate to sustain and protect what are jewels in the seaside crown. For over 120 years Brighton Palace Pier was the only totally privately-funded conservation project in the UK and the biggest revenue stream for Britain’s piers is the income derived from amusement machines.